“Racial discrimination still has not been banished to the history books. This vicious form of exclusion and intolerance continues to manifest itself on the sports field, in the media, on the streets, in the workplace and even in the corridors of power,” said Audrey Azoulay, Director-General of the UN Educational, Scientific and Cultural Organization (UNESCO) on Thursday. "Hate speech is entering the mainstream, spreading like wildfire through social media and radio. It is spreading in liberal democracies and authoritarian States alike," said UN Secretary-General António Guterres. "These dark forces menace democratic values, social stability and peace. 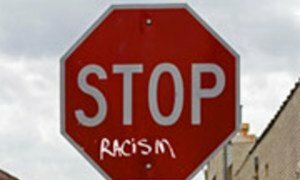 When people are attacked, physically, verbally or on social media because of their race, religion or ethnicity, all of society is diminished. It is crucial for us all to join hands, stand up and defend the principles of equality and human dignity," he explained. In addition, Ms. Azoulay noted that “on a daily basis, racial discrimination continues to silently deprive people of their basic rights to employment, housing and a social life embodied through iniquitous laws”. 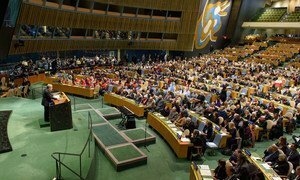 Amid an “alarming increase” in anti-Semitism, International Holocaust Remembrance Day was commemorated at UN Headquarters in New York on Monday, honouring the memory of some six million Jews who perished in the Holocaust during World War Two, along with many other victims of what the UN chief called “unprecedented, calculated cruelty and horror”.